When the term began at Castlerock, Eoin discovered that Dylan had---. At the presentation at the Aviva, what happened? 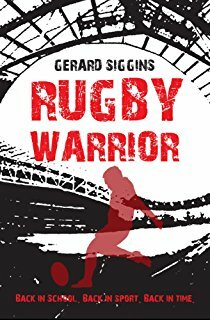 What happened when Eoin first opened "The Complete Rugby Footballer"? What historical artifacts did Dave give to Eoin for his project? Just after the final against St Osgur's, Eoin was---.